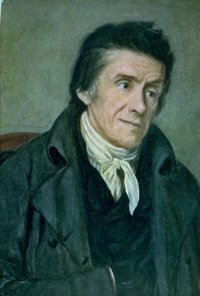 Johann Heinrich Pestalozzi (Italian: [pes.ta.ˈlɔt.tsi]; German: [pɛstaˈlɔtsi] ( listen); Januar 12, 1746 – Februar 17, 1827) wis a Swiss pedagogue an eddicational reformer wha exemplifee'd Romanticism in his approach. ↑ Barnard & Pestalozzi 1859, p. 49. ↑ Isaacson 2007, p. 65. Barnard, Henry; Pestalozzi, Johann (1859), Pestalozzi and Pestalozzianism: Life, Educational Principles, and Methods of Johann Heinrich Pestalozzi, FC Brownell . Isaacson, Walter (2007), Einstein: His Life and Universe, New York, NY: Simon & Schuster . This page wis last eeditit on 14 Apryle 2017, at 02:57.